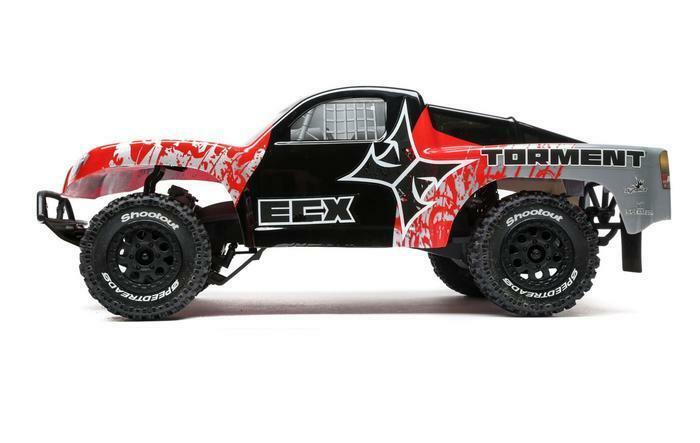 Horizon Hobby of Champaign, Ill., is recalling about 19,000 ECX Circuit, Ruckus and Torment remote-controlled model vehicles sold in the U.S. and Canada. The vehicle’s electronic speed control (ESC) can fail and short circuit, posing a fire hazard. The firm has received 19 reports of the ESC in the model truck and cars catching fire. No injuries or property damage has been reported. The recall involves the Dynamite 40-Amp FWD REV Brushed ESC – DYNS2201. It is the Electronic Speed Control (ESC) that comes in the remote controlled hobby model vehicles ECX 1/10 LiPo Circuit, Ruckus and Torment models with the following models numbers: ECX03130T1, ECX03130T2, ECX03131T1, ECX03131T2, ECX03133T1, ECX03133T2, ECX03154. The model numbers can be found on the product box or in the owner’s manual for each vehicle. The model vehicles measure about 18 inches in length and 12 inches in width and are hobby grade remote control models for ages 14 and up. The models, manufactured in China, were sold at Horizon Hobby stores nationwide and online at www.horizonhobby.com from October 2016, through December 2016, for about $180. Consumers should immediately stop using the recalled product and contact Horizon Hobby for instructions on receiving a free replacement ESC. Consumers may contact Horizon Hobby at 800-338-4639 from 8 a.m. to 7 p.m. (CT) Monday through Friday, 8 a.m. to 5 P.M. (CT) on Saturday, and 12 p.m. to 5 p.m. (CT) on Sunday or online at www.horizonhobby.com and click on Product Recalls at the bottom of the page for more information.